As a child I went through a phase of listening to the audiobook of Roald Dahl's Danny the Champion of the World almost every night before I went to sleep. I would usually fall asleep not long into the first side of the cassette tape but sometimes I would wake up a few hours later, turn the tape over, and listen to the second half of the story until I fell asleep again. I can still perfectly recall the music at the start of the recording and I have the same version of the audiobook on my iPod now but it makes me far too nostalgic these days to help me sleep at all. Audiobooks seem to have had a real surge in popularity over the past few years, thanks largely I'm sure to Amazon's subscription site Audible, and I've tried to get on the bandwagon but they just don't seem to work for me anymore. Whenever I'm listening to an audiobook I feel as though I want to be doing something else at the same time, otherwise I'm just sat around staring into space and might as well be reading the book myself. However, as soon as I start to do something else my mind wanders and I find that I'm not really paying attention to the book anymore so I'm missing huge chunks of what's going on, which is obviously no good if I'm trying to listen to a book I've never read before. I know a lot of people listen to audiobooks when they're running or driving or doing creative things like knitting or painting, but I don't do any of those things, and even if I did I would probably just get distracted and start to think about other things. Even when I first listened to Harry Potter and the Philosopher's Stone as a child (tapes borrowed from a friend who was sick of waiting for me to actually read the book) I very vividly remember flip-flopping between sitting at my desk, concentrating on every single word that Stephen Fry said, and jumping up and pretending to be Hermione on the Hogwarts express while listening to a completely different chapter. Maybe I don't have the attention span for audiobooks, or maybe I need to find something to do with my hands while I'm listening to them, or maybe I need to take up running (unlikely!) but for now at least, I just don't think audiobooks are for me. What about you? 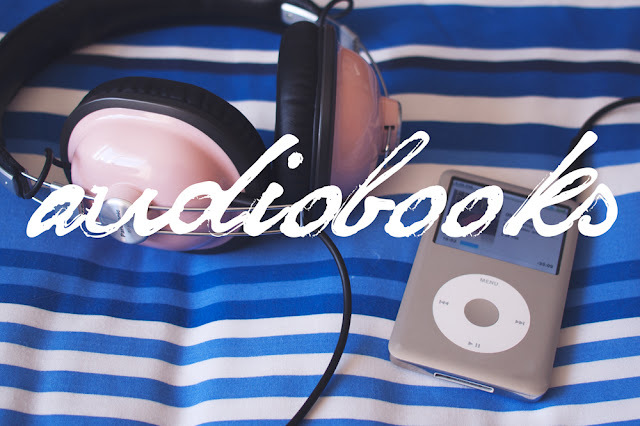 Do you struggle to listen to audiobooks too? Or do you listen to books more than you read them? Do you have any tips for someone who just can't get to grips with them? I'm all ears!